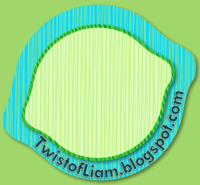 Teaching with a Twist of Liam: Fonts Galore! I love fonts. I love how they can make a project that little bit closer to perfect. http://www.typenow.net/ was shared with me and I have spent many hours cruising the list of fonts available for free download. I challenge you to go through what's available and NOT find a font that works for your project. Some favourites of mine include "For the One Hundredth Time", "Cratch", Britcomics", "Cajun Boogie", Blackout", and "Agent Orange". Go forth and then come back and tell me your fav. Betcha can't pick just one! I found out how to search for just the free fonts! I really like Can Goods and Camden. That site is awesome, and I could easily spend way too long on there! Ok I have an obsession with fonts. Sometimes I wonder if I am overloading my Mac Book with too many fonts. I love free fonts the best but occasionally pay for some that I MUST have. have you seen Lettering Delights Clearance sale? If you are interested I can also post the free font sites I frequent. Alright here are a few. *This is where I get some paid fonts and graphics. Warning they are having a sale and it is dangerous.